Joining the Gawler Public Library is easy - simply fill in an application form and produce valid identification which has your name, current address and signature on it (e.g. driver's licence). If you are under the age of 18, your application form needs to be signed and submitted by a parent or guardian. You will be issued with a Gawler Public Library membership card, which you can use to borrow items, access eBooks and other online resources, as well as the public computers and free Wi-Fi. If you do not have your library card with you, we will accept valid ID with your name, address and signature. Library membership is renewed every three years, so we will regularly ask you to update your information. The South Australian Public Library 'One Card' Network has connected the systems of more than 130 public libraries across South Australia to let you borrow and return items wherever you go, using your current library card. Books, Audio Books, CD Roms - 4 weeks. Magazines, CDs, DVDs, BluRays - 2 weeks. Express, high demand items attract different conditions. Loan renewals are possible if the item is not overdue or requested by anyone else. You can do this on our online catalogue, via email library@gawler.sa.gov.au, by phone on 8522 9213 or by visiting the Library. You are allowed a maximum of two renewals on each item. You can return Gawler Public Library items via any public library in South Australia. You can also return your library items after hours via the Library box located in the foyer at the Gawler Sports & Community Centre, or in the after hours return chute located at the High Street entrance to the Gawler Civic Centre. 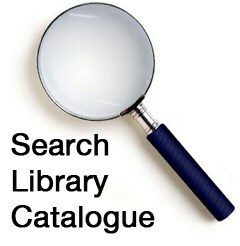 Search for items on the online catalogue or via the public access catalogue computers in the library. Login using your library membership card and your PIN to place a reservation. You can place a reservation on any item that is currently in the library, on loan or on order. Alternatively one of our friendly library staff can help you place your reservation. There is a limit of thirty reservations at any one time. When your items become available, they will be delivered to your preferred library. Speak to library staff if you would like to be notified when they arrive by SMS or Email. If the item you wish to borrow is not available from the One Card Network, we may be able to order it from a non-public or interstate library. A non-refundable document delivery fee of $16.50 may apply. We can also request some reference items from the State Library of South Australia, however these items are only available for use within our library. If you lose or damage an item, you will be asked to replace it or pay for its repurchase. Current replacement costs can be viewed at the library counter. The Library is currently unable to accept donations. You can contact charity shops, other libraries and NAWMA to see if they will accept your donated items.